When Cassandra Mamone took a trip to Italy last year, she was mesmerized by the stunning Amalfi coast. It was this beautiful backdrop that provided the inspiration for Cassandra’s latest collection, Sorrento. The first piece she designed for the collection was the stunning Cognac Beauty. Made from 18ct rose gold and featuring approximately .85ct cognac champagne diamonds, this gorgeous ring sets the tone for the entire Sorrento collection and quickly became the signature piece. “Inspired by the breathtaking cliffs, sparkling seas and the white washed and terracotta villas, I want everyone woman that wears a piece from this collection to feel the beauty that is Sorrento”, says designer Cassandra Mamone. Cassandra took note of the fashionable and luxurious Amalfi coast, a wedding destination favoured by many. The Cognac Beauty ring was inspired by the beautiful views surrounding stylish hotels and restaurants, where glamorous ladies stop by for long lunches. 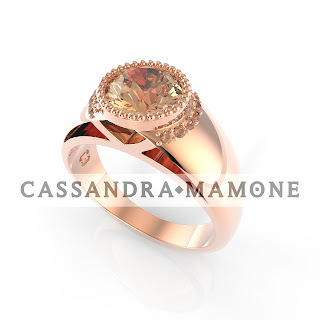 When designing the ring, Cassandra knew she wanted to combine the perfect complements of rose gold and cognac diamonds. Flattering to all skin tones, the rose gold base accentuates the delicate colour of the cognac diamond. Mixing the classic with the contemporary, Cassandra has designed a ring that sets the benchmark for a stunning collection; an affordable luxury. 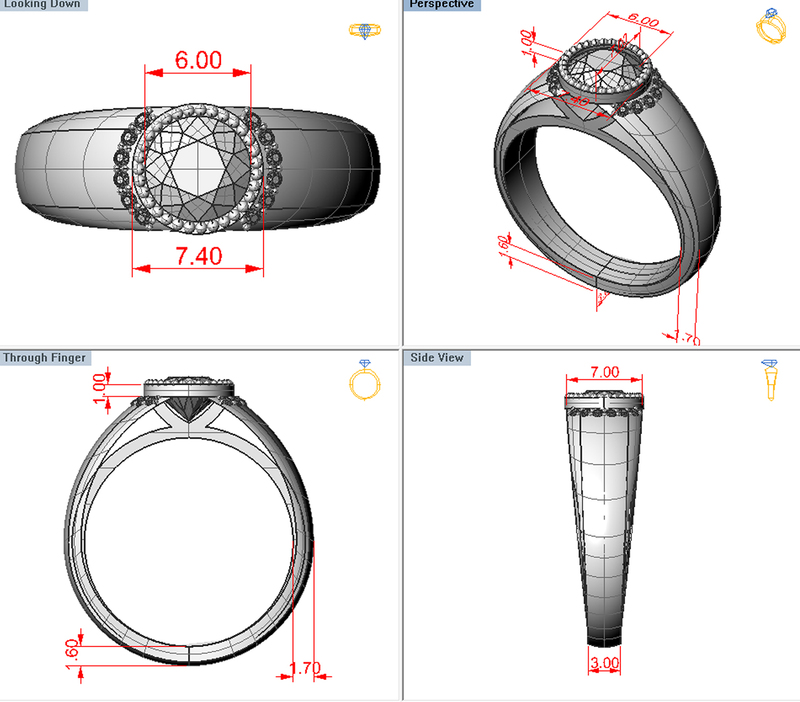 “[The ring] has a real elegance behind it and yet it is unique with its combination”, she says. 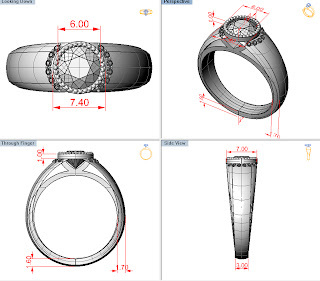 The .80ct centre cognac diamond is bezel set, and the mill grain edge adds a delicate touch. The pave` set diamonds on either side of the centre stone add just a hint of sparkle. “This piece oozes femininity”, says Cassandra. 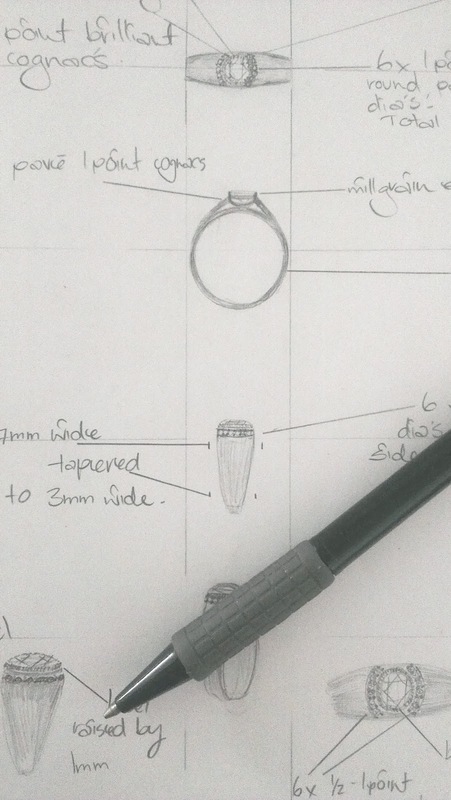 We love this unique and elegant ring too, which is why it’s April’s Piece of the Month! What do you think of the Cognac Beauty? Let us know in the comments below!